A very colorful Craps game awaits you if you decide to try out a Rival powered casino, they only offer a download version but as you can see from the above picture the graphics are crystal clear. Minimum bets are $1 and maximum bets are adjustable by the casino. You will get a very clear view of the table and the dice stay visible once you roll them. Rival powered sites have only been around for a couple of years now, but they have proved to be very popular with players, especially those living in the US, and the reason for this is their ability to accept US players and get them paid quickly should they make a withdrawal. 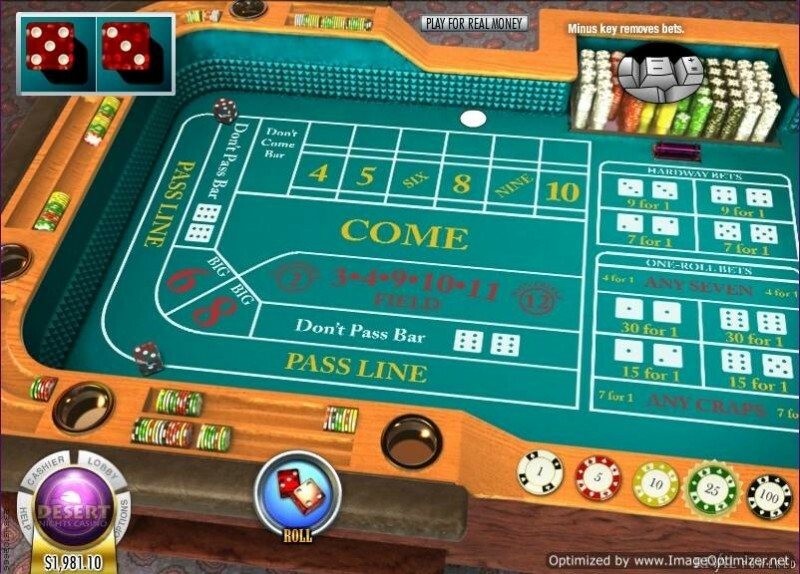 The Craps game has modest table limits and all of the game play controls are easy to find and even easier to use. Simply point and click with your mouse and you can not only position your chips on the layout but also control the entire game. The min bet is $/£/€ 1 and the max bet per game is adjustable by the casino, you can of course play for free via their guest player option.